The fourth edition of the Fuego y Agua races takes place this Saturday, February 16, in Nicaragua, on the volcanic island of Isla de Ometepe, on Lake Nicaragua. The event consists of four races: 25k, 50k, and 100k trail races as well as a 75-ish-k survival run. This year’s event is literally drawing participants, about 250 combined, from all over the world. The 100k course is sure to test each runner’s strength of diversity. The race starts with approximately 30k of flat-to-rolling dirt roads and singletrack. After the long warm-up, racers are then treated to their first volcano of the day, climbing up, into, back out of, and finally down Volcan Maderas over the next 20k and 1400 meters of vertical. This marks the finish line for the 50k race. After passing by the resort finish of the 50k, where they’ll be tempted by a nice beach and cold beer, the 100k runners continue on another 27k of flatter running through the heat of the day and with no shade. They will then be greeted by a 10k, 950-meter climb up the active Volcan Concepcion, followed by a sweet 13k, 950-meter descent to the finish line in Myogalpa. The men’s 100k field will easily be the best-ever assembled for Fuego. Expected to lead the charge is Nick Clark; however, we’ll see how his cold and snowy training in Colorado translates into hot and humid race-day weather. Oregon’s Yassine Diboun and Arizona’s Dave James will definitely help to push Nick, and hopefully themselves, to break the current course record of 11:08 (set in 2009 by Costa Rican, 2:20-ish marathoner, and speedy ultramarathoner Javier Montero). Dave just won Costa Rica’s Coastal Challenge last week in very convincing fashion, so he’s definitely fit but also likely fatigued. I know Yassine’s been ripping it up in the Columbia Gorge’s steep terrain, which should prove to be good training for Fuego. Jamil and Nick Coury were also expected to be duking it out up front but it appears that Jamil is dropping down to the 50k after some overtraining issues after his incredible race at last September’s Mogollon Monster 106-miler. Nick, who just found out he’s the first alternate for this year’s USA 24-hr World Championship team, has the leg speed to keep him in the mix. Also, don’t be surprised if a few Nicaraguans decide to shake things up. Ian Sharman made the trip but is dealing with a knee issue so he will be cheerleading on Saturday. In the women’s 100k, it appears that Gabi Stephens, sister of race director Josue Stephens, will likely be the one to beat. Probably my favorite quote from the website regarding the Survival Run: “Food/Water Aid will be provided at Stations only if runner can complete the memorization task for that checkpoint.” Meaning, if you don’t answer the question correctly, you don’t get aid. I love it! The favorites for the Survival Run are regulars on the circuit, including reigning Spartan Death Race champ Olof Dallner, Junyong Pak, and Isaiah Vidal as well as local Johnson Cruz Barrios, winner of last year’s 50k on the men’s side. For the women, Margaret Schlachter, Melody Hazi, Morgan McKay, Shelly Koenig (Summer Death Race champ) are expected to duke it out. However, just finishing this race will be insanely difficult, as Josue is expecting a 10% finish rate. The “world’s fittest man,” Joe Decker, was planning on competing, but is out due to injury. We’ll be updating this section of the post as other reports from Nicaragua come live. Check back! Fuego y Agua Survival Run competitor and Dirt in Your Skirt Founder Margaret Schlachter’s first report from Ometepe. Margaret’s description of the, let’s call it creative, Survival Run packet pick-up event. Racing in Central America conjures up images (Or in my case memories of running the 2007 Coastal Challenge!) of tangle-y jungles, cackling monkeys, sandy beaches, and an inferno-like climate. Who has raced a trail or ultra there and who wants to try one someday? Runners will face environmental conditions unlike what’s found in their respective homes – recall Sean wondering how the snowbound Coloradan Nick Clark will fare in Nicaragua’s heat and humidity – this weekend. How would you best prepare mentally and physically for racing something so environmentally unique? Keep your eyes and ears open for Patrick Sweeney from Los Angeles, he has been in Nicaragua for a couple of weeks – he is an "under the radar" sort of guy. Very laid back, but an incredible runner. he runs in LUNA sandals! Next year perhaps, have fun amigos! Josue puts on one heck of a race. I urge ANYONE who doesn't know this guy to go meet him. Absolute class act and tough runner! Hope the race continues to help the local people of Nicaragua! Go Yassine! Ian, you know you don't need to drink an entire case of Toña during a beer mile? That's why it took you 20+ minutes, right? ;-) Congrats on your debut as an RD! Jorge, Wish you were here man! Let me know about Costa Rica's Q50 in May. It would be fun to race down here. 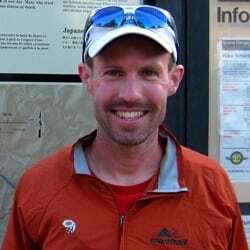 Great job to everyone but especially Irunfar.com's Sean Messiner on his 4th place finish today in the 100K! Thanks Dave! Super fun day out there…for the most part. I wouldn't have expected anything less, or more, than me other than 4th! Sue, Patrick definitely wasn't under my radar. Quite the contrary, in fact. I've been following his posts since he got here and he was running very low mileage while drinking lots of beer. It was clear what he was peaking for. And peak he did in that beer mile! A peak can typically be held for about two weeks, which will be perfect timing for the first annual Caballo Blanco Copper Canyon Beer Mile!